Casio SE-G1 second hand cash register. 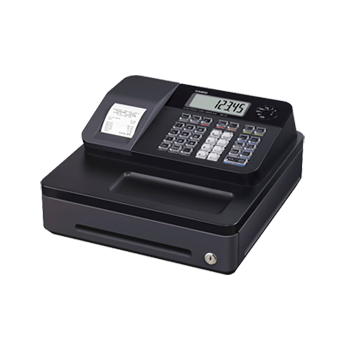 These second hand cash registers are all tested and working prior to dispatch. As they are second hand they will be in a used state and without the manual, but are supplied in original boxes. They will have tills keys, but no spool (if you need a spool you can add 1 from the drop down below, but if you are issuing receipts with every sale then you don't need the spool). The SE-G1 can't run without paper so don't forget to order at least 1 box of till rolls or you can have 3 boxes for £30 with no additional delivery charge (see drop downs below).